I love what you did with this, everything works for me with one exception, I tried importing this 4 times and it would not complete.. I finely filled in all the holes, scraped and replaced the beacon in-order to get it to work and all is well now.Thanks! I've had problems like that before, and what seems to work, or at least help, is to turn off animations and tick the import original items not built by player. cdante's next update should help with things like that. Anyway... Thank You for the kind words! In response to post #48920602. #48922977, #48923032, #48924067, #48924457, #48924487 are all replies on the same post. cdante wrote: does the plots work normally after importing them? cause kinggath says on his mod page that importing plots "makes a mess". and I haven't got time to test the two mods together yet. woodfuzzy wrote: I'll play around some more, but at the moment they "seem" to be working. cdante wrote: kinggath says the tax system won't count imported plots. 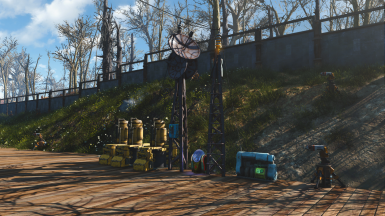 UniversalLibrary wrote: I was wondering about this myself when I saw it was Sim Settlements. That mod author suggests not Transferring, but let's see if those issues are mostly worked out because both mods have great updates since then. cdante wrote: those mod authors are currently working on compatibility issues. had a firsthand view of their conversation. woodfuzzy wrote: Figured out the why this works. 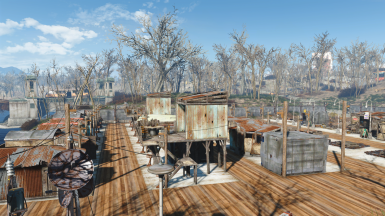 This settlement was built and blueprinted "before" the recruitment beacon was turned on. No NPC had set foot on it yet. 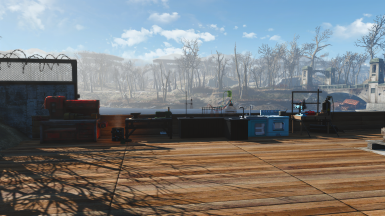 I went back and did another "clean" import and then sent 4 settlers from other Non Sim settlements, abducted 3 Raiders, 1 Gunner and sent them there and when I got back, 2 more settlers had showed up via the beacon. So the key appears to be using a "squeaky clean" build. cdante and I are working on some better support for the next version so that the actual building models can be transferred and the plots will be correctly registered with the system! Do you want me to pull this until you all get things worked out? does the plots work normally after importing them? cause kinggath says on his mod page that importing plots "makes a mess". and I haven't got time to test the two mods together yet. I'll play around some more, but at the moment they "seem" to be working. kinggath says the tax system won't count imported plots. 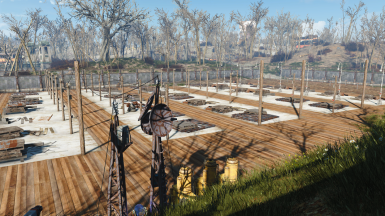 I was wondering about this myself when I saw it was Sim Settlements. That mod author suggests not Transferring, but let's see if those issues are mostly worked out because both mods have great updates since then. those mod authors are currently working on compatibility issues. had a firsthand view of their conversation. Figured out the why this works. In response to post #48920602. #48922977 is also a reply to the same post. Taxing system is working. 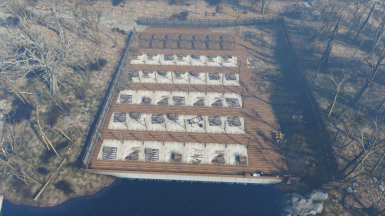 Set it to tax daily, cleaned out the caps, ran around for a day, received the Tax notification, went back & collected another 15 caps.